Welcome to the Rabbit Hole! Where we journey inside our world and ourselves and submit to the whims of curiosity. Hello lovelies! It has been way too long since we have journeyed together! Since we last talked I have crossed TEDx Speaker off my bucket list - what a trip! Honestly, I don't know how it went - I am awaiting video confirmation that it even happened. I remember I had my own dressing room with my own bathroom - in the Ellie Caulkins Opera House!!! I remember that I was glad I blanked during my sound check so that I didn't have to during the real talk. I remember bright lights and a packed house and my yummy new shoes standing on the huge red TED dot - and I remember that they actually laughed at my nerdy jokes. The rest is a blur. I would give you more specifics about my actual talk but that is the lovely thing about video - you can see for yourself! And they should be posting to the TED Youtube page within the month. I will of course keep you posted as soon as I see the release. I look forward to hearing your comments on my theory, on my very own idea worth spreading. 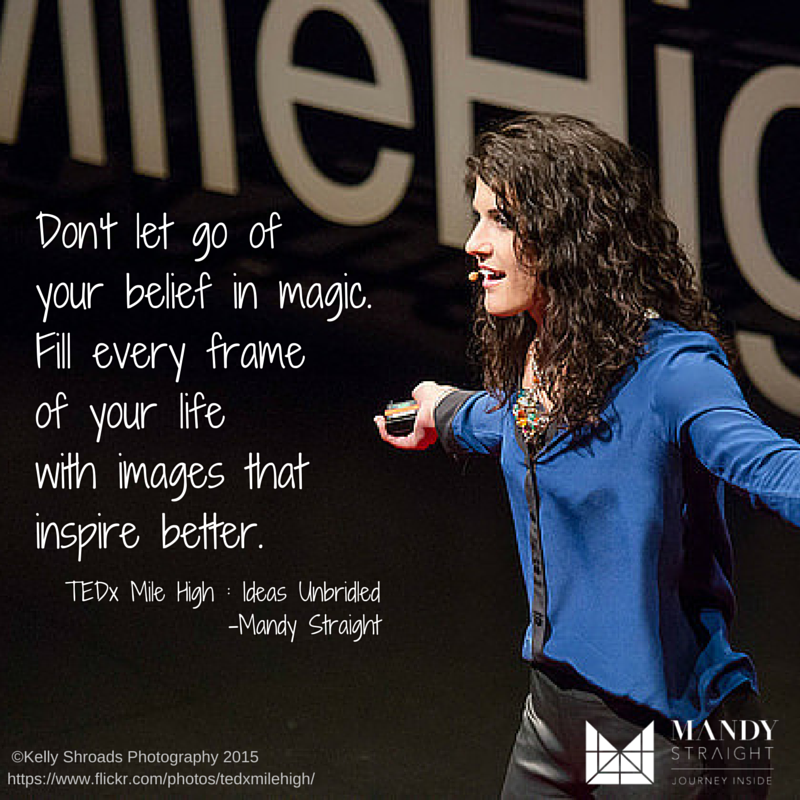 I was a guest blogger on the TEDx Mile High website last week talking about my experience, want to check it out? Also: I have great news! I am so excited to offer this resource to those on my mailing list! What is this AWESOME thing, you ask? My personality profile gives 7 personality types. The 2 that you identify most with are your top pair or "Straight Pair"
I hope you have a wonderful week - go after that bucket list with everything you have, lovelies. Resist the delusion defined by the fear of your own ability; enjoy the results. THANKS FOR TAKING A JOURNEY INSIDE THE RABBIT HOLE WITH ME! IF YOU LIKED THIS POST, CHECK OUT MY PAGE HERE AND PLEASE FEEL FREE TO SHARE IT WITH OTHERS USING THE LINKS BELOW. IF YOU WANT TO BE EMAILED WITH NEW POSTS YOU CAN FOLLOW MY BLOG ON BLOGLOVIN’ AND SIGN UP IN THE BOX BELOW FOR UPDATES.